The obligatory summer time cold has passed from my family, so now that my head is clear I thought it’d be a great day for a review! Today’s cigar is the “American Born Cubans,” or ABC, from Luis Sanchez at La Tradicion Cubana. This is a new cigar from Luis, although a line was produced several years ago under the name, which was lost to a devastating fire at his original factory in late 2006. The American Born Cubans is a tribute to U.S.-born Cuban Americans seeking to succeed in America while maintaining their heritage and preserving Cuban tradition as well. 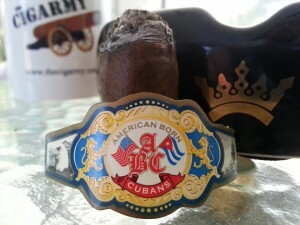 I mentioned the ABC in a recent Cigar Spotlight I did on La Tradicion Cubana. I also spoke with Luis briefly about the new cigar at IPCPR, but as of yet he’s remaining quiet on the specifics of the blend. The ABC is produced at his factory in the Dominican Republic, but he’s known for using tobaccos from all around the tobacco growing world. After the show, I happened to be in Miami and made a trip over to La Tradicion Cubana to pick up some cigars and spend a few minutes chatting with Luis. During the visit, he graciously gave me a couple of what turned out to be a very limited supply of the ABC’s to try. Never willing to rush things, he is still waiting on the first full-production shipment to arrive from his Dominican factory. The ABC is available in one vitola, a 6.5″ X 57 ring torpedo with a swaged foot. It has a very attractive, chocolate-brown wrapper that is quite supple and almost oily to the touch. The construction on both samples I received was solid, with no voids or soft spots whatsoever. I can say that across the board, Luis’ cigars are always well built. 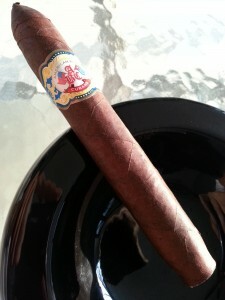 As I mentioned in the Cigar Spotlight, his La Tradicion Cubana corona has become a regular morning smoke for me. I have gone through many of those cigars, and don’t remember ever having any burn or construction issues whatsoever. But, back to the ABC. The wrapper has a very faint aroma, reminiscent of tanned leather. The foot smells of hay and sweet tobacco, and is more pronounced than the wrapper. I only clipped off about 1/4″ of the sharply tapered head, which made for an excellent draw – deliberate, but free. The prelight draw is very sweet and akin to the unlit foot aroma. No Tutti-Frutti…just the sweetness of properly cared-for tobacco. Once the initial light has settled, Luis’ dedication to quality in his product really shines. 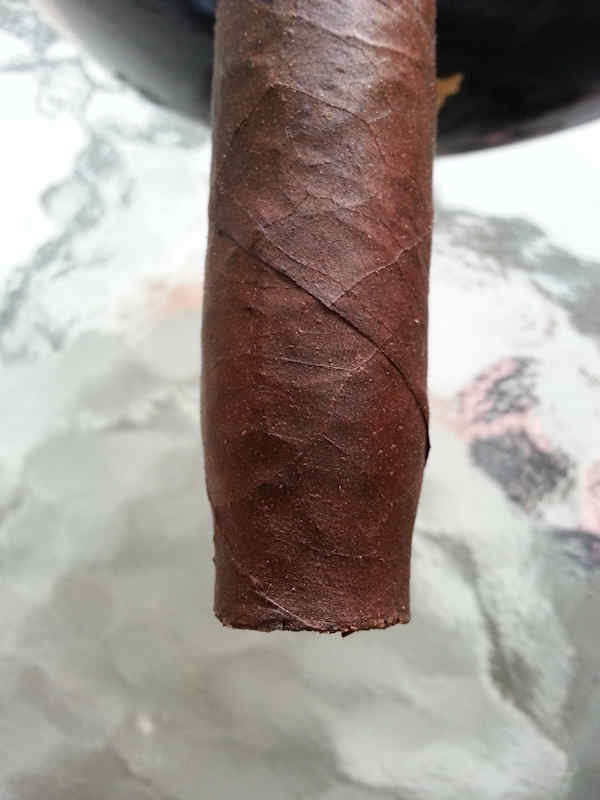 I’m not sure how much is due to proper construction, and how much to the physics behind that swaged foot…but the burn is phenomenally even-keeled for a cigar assembled with a complex shape. The early flavors are a pleasant admixture of sweet and spice – toasted marshmallows on the palate, but a slight amount of pepper on retrohale. I am easily overwhelmed by too much spice, but in this case it’s pleasant and interesting. For those of you who are interested, the ash is finely grained and mottled gray and white. Once the burn passes the shoulder of the cigar at about 3/4″, the draw frees slightly but is still well within the acceptable range. The ash appeared to be clinging tightly when my fumbling, fat fingers dropped the cigar onto the ashtray and beheaded it. Beyond this initial, incidental ashing it held to about 3/4″-1″ before dropping. Going into the second inch of smoking, it is apparent that the ABC has a good bit more strength than Luis’ La Tradicion Cubana line that I am more familiar with. I’d place it firmly into the heavier end of medium, bordering on full at this point. The flavors are still sweet and toasty, although the earlier spice has dissipated considerably. I’m enjoying this second cigar so much I’m resistant to even continue keeping notes for this review in favor of just relaxing with the smoke. Since it is the last remaining ABC I have, I suppose I’d better trek onward. Throughout the second inch and into the third, the burn remains well-behaved. I have yet to even touch it up, which is rare for me, an obsessive ash-manager. As the burn approaches the band, the flavors in the ABC have developed nicely and remain in the same family as earlier – toasted marshmallow, some nuttiness, and a flavor I can only describe as charred wood with a sweet overlay. I find them very pleasurable. I have had several discussions with Luis about his blending style and what the word “complexity” means in a blend. He seeks to create a blend that consistently produces interesting flavors which most people will find enjoyable. Rather than try and piece together a cigar blend that might constantly change within a given cigar, his philosophy is that the flavors should remain within the same palette throughout – similar but not identical; and within the same “family” of flavors. The “complexity” is realized through minor changeups that occur during the smoke according to the impact the cigar has on the smoker’s palate. Whatever changes occur should be enjoyable for the entire smoke. I think he has definitely hit that mark with the ABC. 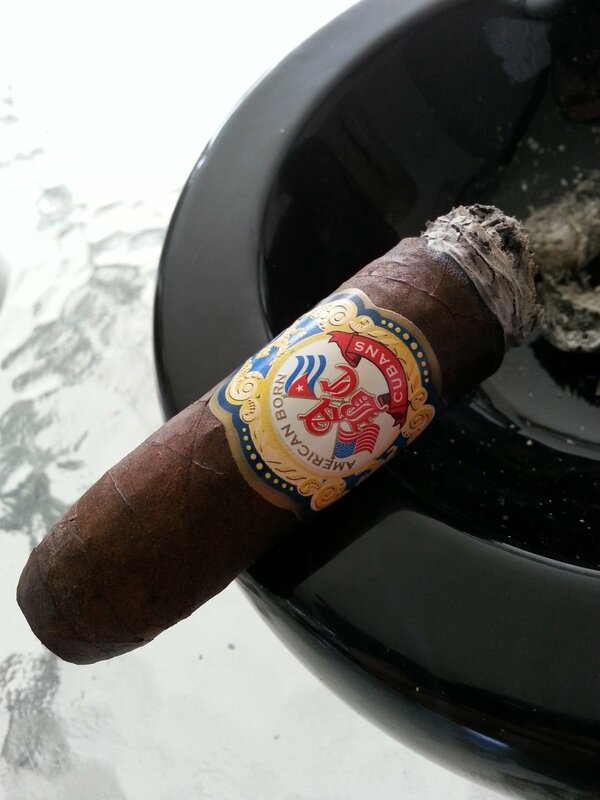 The perceived taste during this cigar meanders about through nuttiness, warm toast, some sweet notes, and even a bit of peppery spice in the early minutes of smoking. I found it to be enjoyable from first light to last glow. 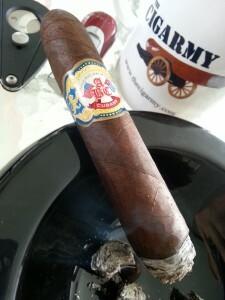 It’s certainly no secret that I am a big fan of his blending style, and once the ABC hits the market it will be joining the ranks of a couple of other La Tradicion Cubana-produced cigars that are currently in my routine smoking rotation. In fact, I may now prefer this blend to the milder LTC corona that has recently become a frequent smoke to start my day. I don’t assign numerical ratings in reviews, opting to simply describe the experiences I have with a manufacturer’s cigar. But if I did, this ABC would rank very, very highly. I am anxious to quickly get it into the mix, as it is a wonderful addition to his portfolio, adding more variety to the number of other blends he produces. 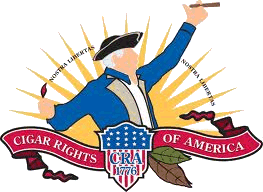 I highly recommend trying any of his cigars, and the ABC would be a great place to start – although you can’t go wrong with either his lines (under the La Tradicion Cubana banner), or any number of cigars he produces for other boutique companies, such as Jameson, La Caridad del Cobre, Casa Gomez, etc. You can find more information about La Tradicion Cubana and the other cigars they produce at their website, stop by the store in Little Havana, or by email to: [email protected]. Luis is a great source of entertaining conversation and great cigars.